Solo Travel is gaining popularity among the travel community steadily due to the sheer spontaneity that comes with it. The quest to discover oneself along with spiritual rejuvenation and flow of adventurous adrenaline becomes a perfect reason to pack your travel bag and climb those serene mountains or stroll by silent beaches, all by yourself. We tell you about 5 beautiful destinations in the country, where you can travel solo to enjoy the fullest. Referred to as the Grand Canyon of Maharashtra, the Sandhan Valley is a trek of a lifetime for the thrill-seeker in you. It’s a combination of a valley with a canyon. Accessible from November to May, this water carved valley has Ratnagad and Ajoba mountain ranges around it. Going back to basics, it is the quintessential tent-pitching camp where food is cooked in campfires with the aroma filling the air around. The trek takes five hours to finish with activities like rappelling to really get your adrenaline pumping. One of the most unexplored terrains in the country, Lahaul-Spiti is definitely a trip of a lifetime. Mountains and monasteries await you here. You can either make a long road-trip of these two places while passing Manali, Rothang Pass and Leh, these destinations can be visited individually also. 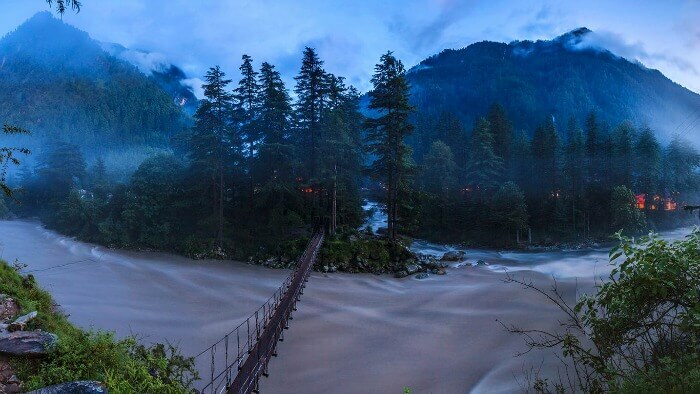 Could be called “Goa of the Hills”, Kasol is a destination that is on every trekkers list. Catering to a lot of hippies, it’s a small village on the banks of Parvati River in the valley. The river being replete with trout is ideal for fishing but you need a permit from the forest department. It’s also a great destination for rafting and water sports.